For years the idea of DIY scared me silly; I thought it would be expensive, time-consuming, and was convinced it would never come out right. 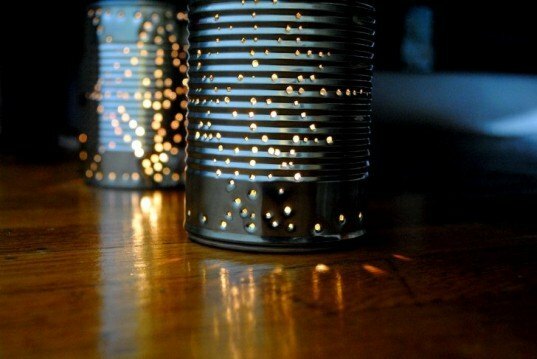 But then one day I saw this cute tutorial for candle holders and decided to give it a try. And boy am I glad I did! Turns out DIY can be easy, fun, and really change the look of your place. 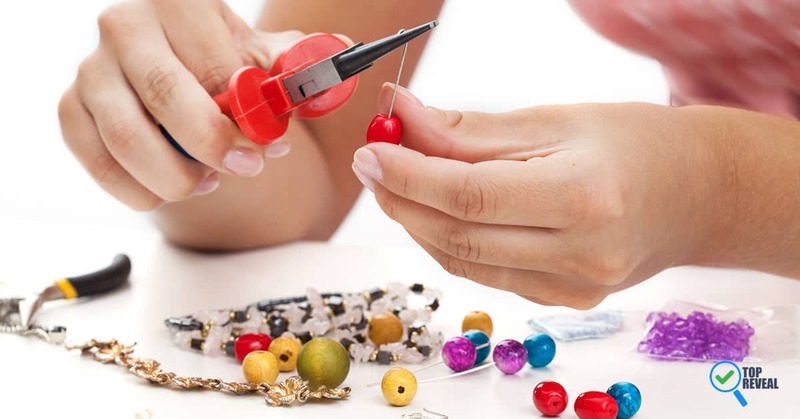 So, if you’re itching to let your creative side out let me help you with my list of 27 awesomely fun DIY craft projects anyone can do! 1.1 1) Snap, Crackle, Pop! 1.3 3) May I Have A Word With You? 1.12 12) Splat, Boom, Pow! 1.23 23) Red, White, and You! For kids or adults at heart, these notebooks made from cereal boxes and other treats by Infarrantly Creative are fun and useful! Handimania’s twine-inspired DIY lights are one of my favorites and work with just about any decor; oh, and they are a blast to make! 3) May I Have A Word With You? Say what you feel using some thumbtacks, paint, a little ingenuity and this tutorial via DIY Projects. 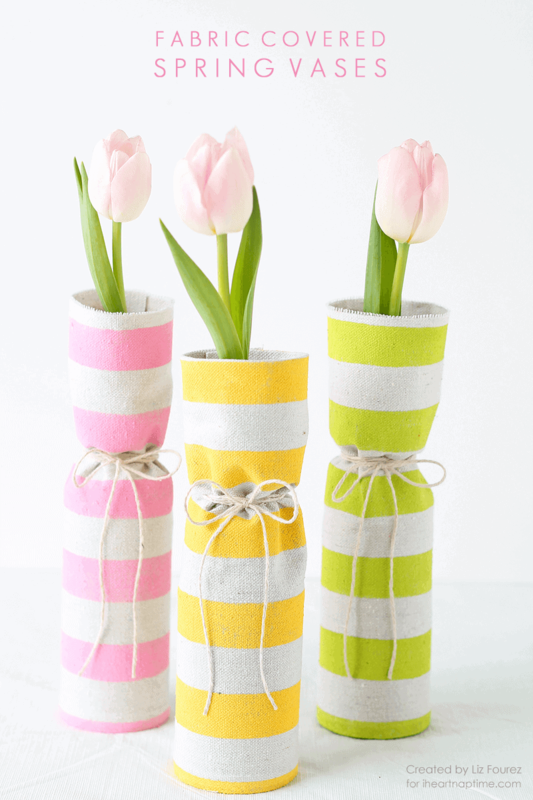 Pretty, bright, and great for spring and summer, these simple but elegant Vase covers on i Heart Naptime can be made using different fabrics, so you can change them for holidays or any other event. 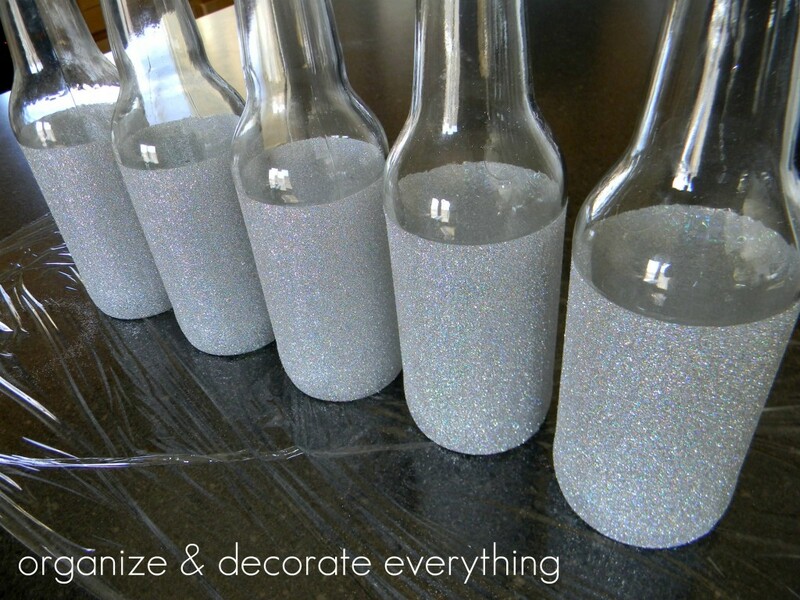 Perfect for your home or as centerpieces for a party, these glitter bottles by Organize and Decorate Everything will have you mesmerized. 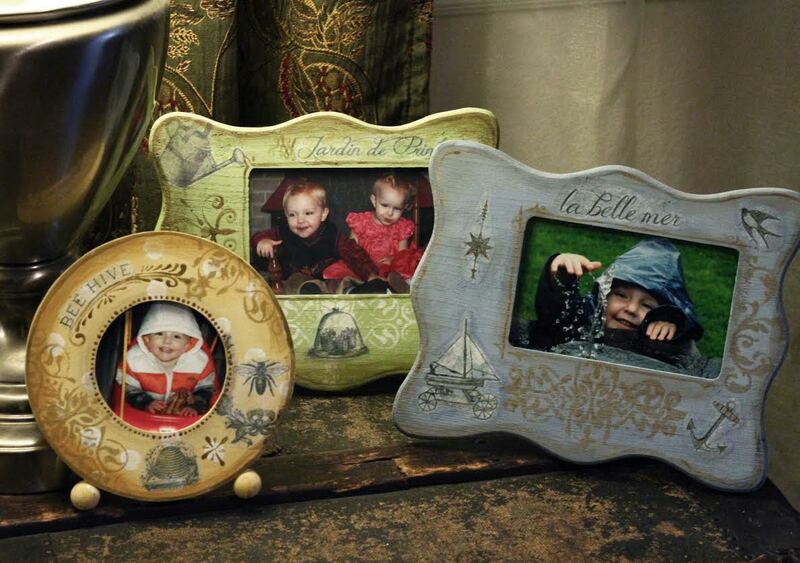 Personalize those personal moments in your life with these clever frames from Think Crafts. These chic, custom coasters via Gina Michele are so pretty you won’t want to ever put a drink on them; they also make great decor for a party! Whether you use them to drink or just as decoration, these glasses from Brit + Co are a great project you and your girlfriends can do while drinking out of other glasses! Just married? Or maybe you want a family sign for you and your kids. Well then, try this tutorial by Craftcuts, which you can personalize with initials. Never mix up your cups or drink the wrong drink with this clever mug project via A Beautiful Mess. Because there is nothing worse than waking up and grabbing a hot cup of coffee- only to realize it’s not coffee! 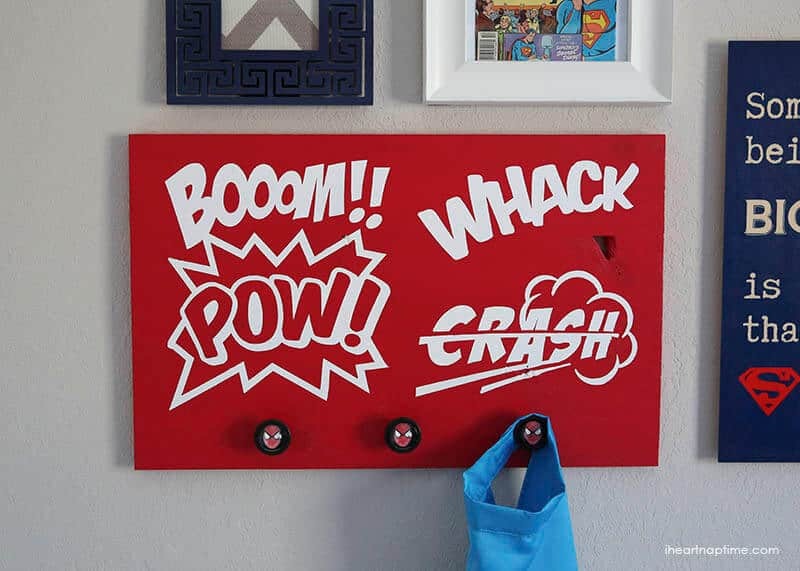 With all the superhero movies out these days this wall sign/bag hanger on i Heart Naptime works in any kids room! And now your kids have no excuse not to hang up their jacket/schoolbag/or anything else. 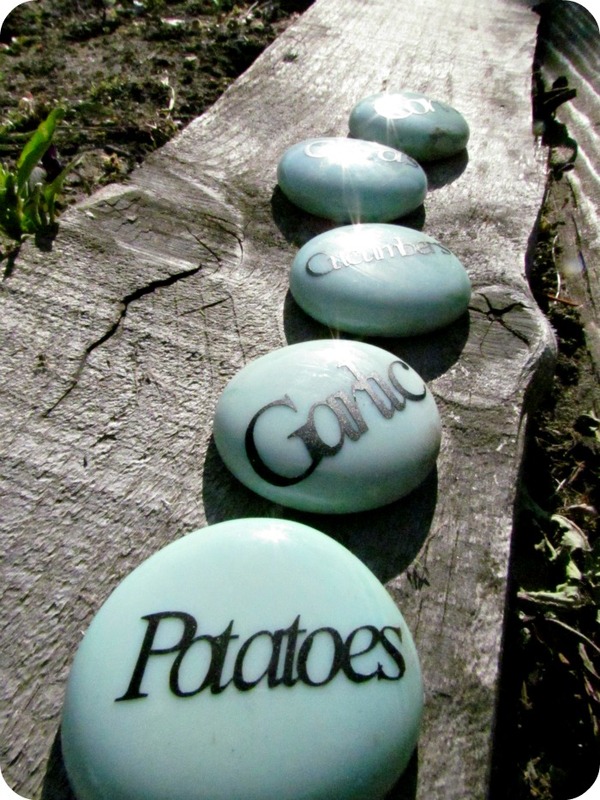 Smart and stylish, these painted rocks via Etcetorize are a gardener’s dream. You can use these for vegetables, flowers, or anything else you want a plant, making it easy to keep track of what is where while adding some whimsy to your landscape. Dirty? Clean? Not sure? Keep track of who does the dishes, or laundry, and when with this simple scrabble DIY on Aunt Nubby’s Kitchen. 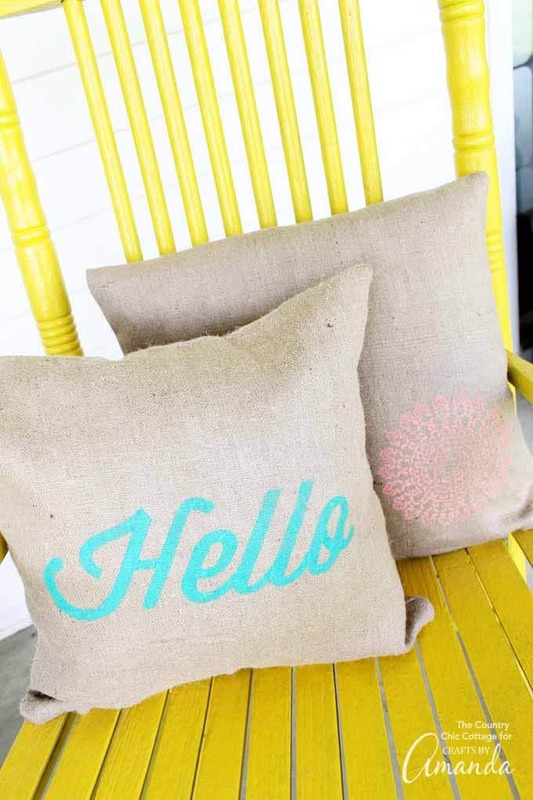 Send a welcoming message to visitors or write something fun in bright summery colors with this DIY Crafts by Amanda. Personally, I’m partial to Aloha in a cheery seafoam green. Perfect for a warm summer night or a cool fall one out on the back deck, these lanterns by Inhabitat add a festive feel to any outdoor space. And if you have kids, they can put some lightning bugs inside and watch them flick on and off; just let them go after a few minutes! 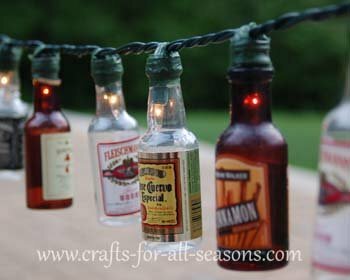 Now you have a reason to drink- not that you need one; this cute hanging lantern strip by Crafts for All Seasons is a favorite of mine because you can hang bottles randomly or hang ones related to specific events or times. Collect bottle caps from everywhere you go or from everyone who visits and create this funky wind chime by EphemeralAlchemy. 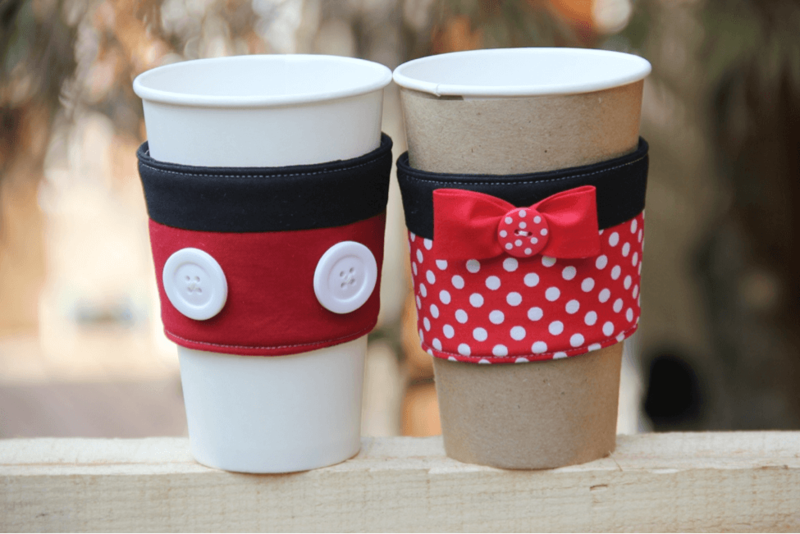 If you have kids or are just a big kid at heart, have a blast making these Mickey and Minnie-inspired cup holders using the tutorial via Undercover Tourist. They also are great for party decor! Every day can feel like a day at the beach with this tutorial from Craftaholics Anonymous. The blue color is bold yet calaming and can go with just about any decor. Stay cool and add a pop of color to any room with this rainbow-effect fan from DIY Homes Tips. You can do actual rainbow colors, ombre shades of one color or any other crazy combinations you can think of. Design Sponge’s torch is cute and can be a great bug repellent if you add some citronella or other scents inside. 23) Red, White, and You! 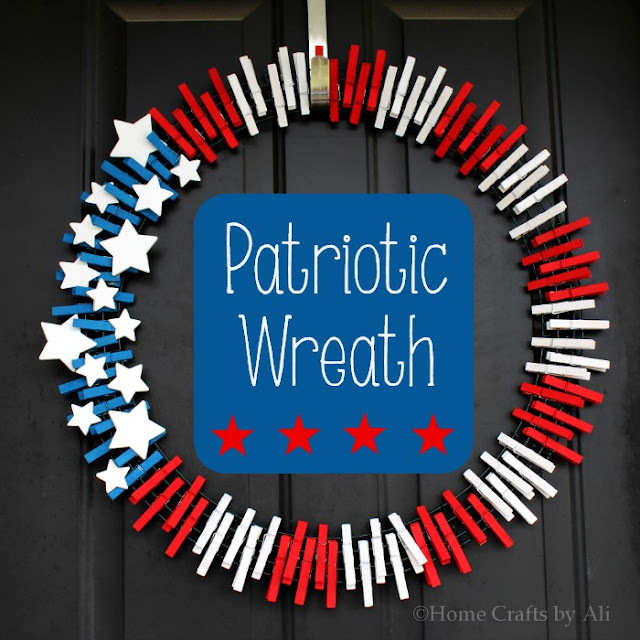 Show your patriotic side and dress up your front porch with this fun eye-catching wreath by Home Crafts by Ali. This project is fun and the finished project is sharp. clean, and polished. 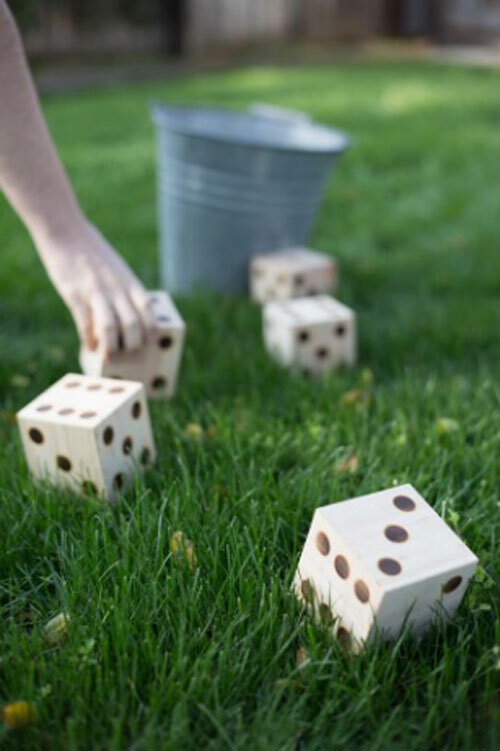 Roll the dice and try this project from Momatstic if you love being outdoors and playing games. This one is perfect for anyone who entertains and loves being surrounded by friends and family. Create a work of art and bring any space to life with these deceptively easy pieces by Bitz N’ Giggles. Have fun with it and let your creative side show. 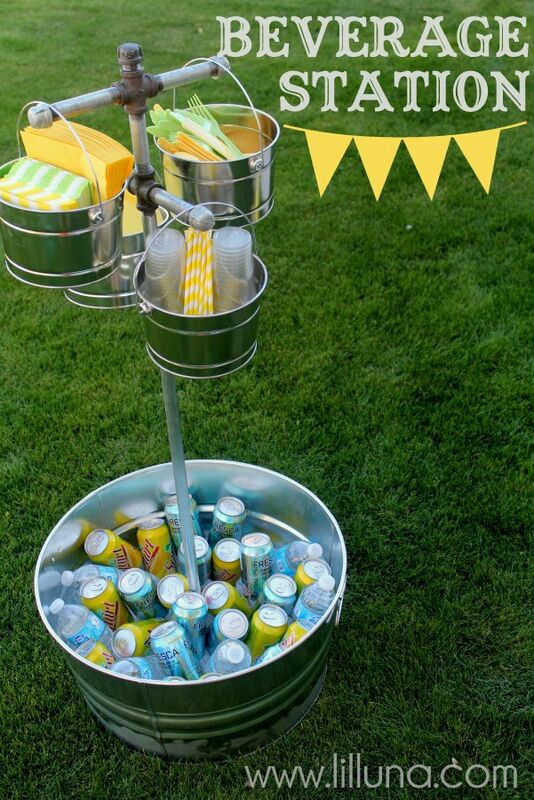 Cute, easy to make, and perfect for the next few months, this beverage station by Lil Luna is just what you need for your next barbecue. Christmas is year-round with this net by Christmas Designers. 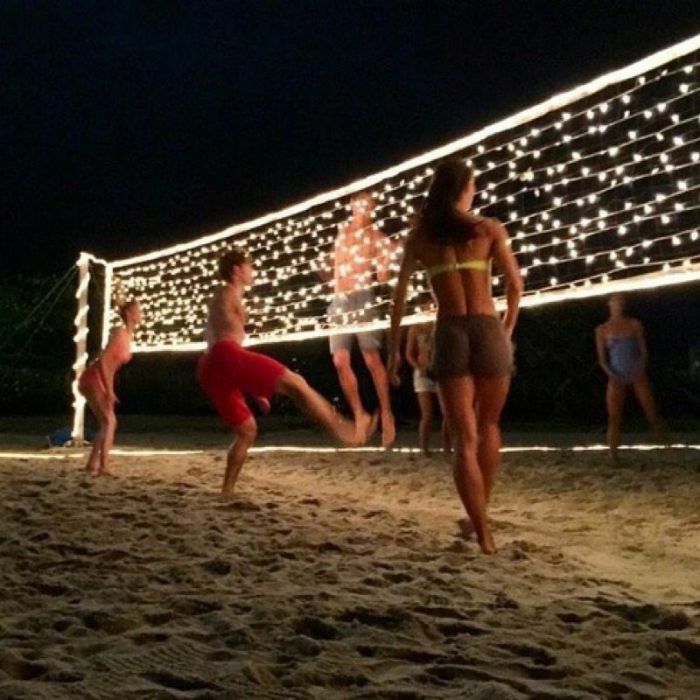 At the beach or in your backyard it ensures the party will never end. 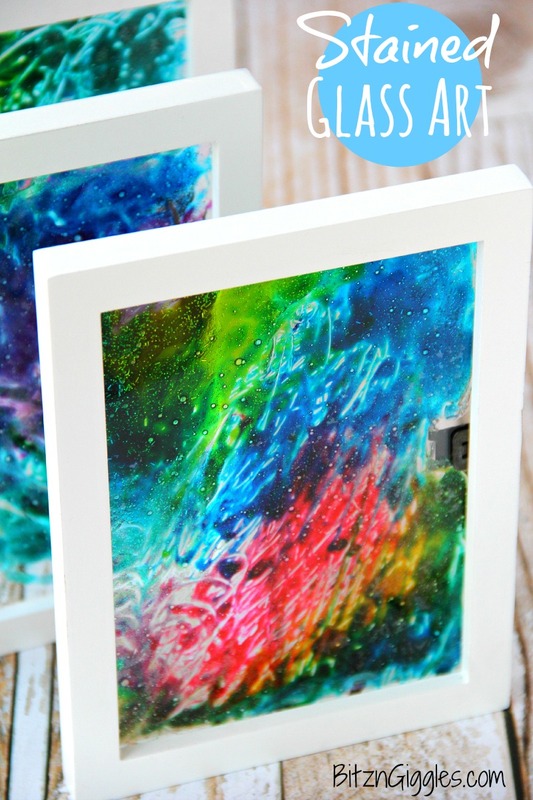 Did our 27 awesomely fun DIY craft projects inspire you? Tell us if they did and be sure to share this with your family and friends.